Toronto Star Santa Claus Fund Cheque Presentation - Baby Point Gates B.I.A. 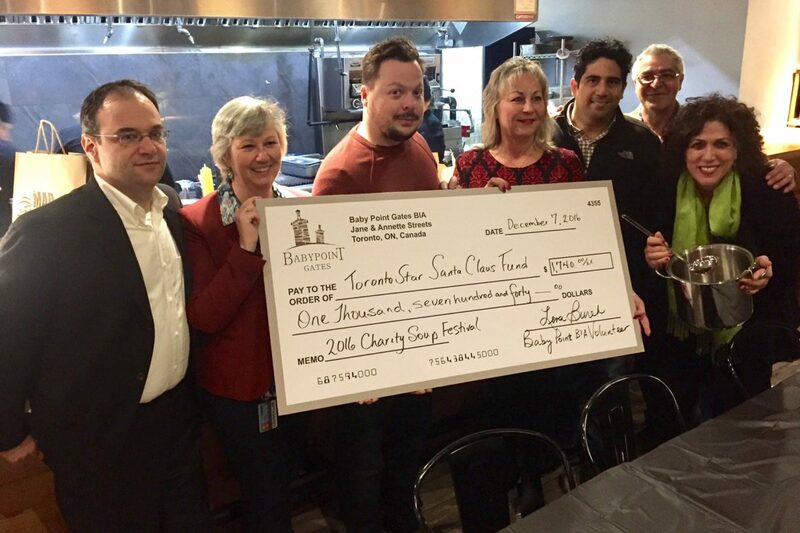 On December 7, 2016, the Baby Point Gates BIA proudly presented a $1,740 cheque to the Toronto Star Santa Claus Fund. Thanks to all those who attended and helped raise money at our 5th Annual Baby it’s Cold Outside Holiday Open House and Charity Soup Festival!